Maggie and I formed YAA Voltron for a joint review over at the blog. Check it out.But for Goodreads purposes, here are my thoughts:Blue Sargent is the only non-psychic in a family full of mediums so when she unexpectedly sees a spirit on a routine dead walk on St. Mark's Eve, she's told it means one of two things: the boy is either her true love or she will be the one who kills him. Thanks to a unanimous psychic warning that if she kisses her true love he'll die, it could very well be both. Either way, he'll be dead within the year. Unbeknownst to her, Gansey and his Raven Boys are already on a crash course of fate with Blue, her family and his quest to uncover a sleeping secret that has the power to change everything. But as Blue's aunt says, when you go looking for a god, don't be surprised to find a devil too and the quest promises to take Blue and the Raven Boys places they never expected.As you can see The Raven Boys has an intriguing premise and (raven) boy does it deliver. (Not even sorry!) The end of the prologue and first few chapters should come equipped with the Law and Order chime-of-suspense sound effect. Stiefvater sure hits the ground running.I loved Blue and her family right off the bat. The Sargent house is charmingly packed with psychic abilities, family dysfunction, louder than life personalities and just enough mysteries in the family history to be deliciously intriguing. It wasn't long before another family dynamic, Gansey's Raven Boys, began stealing my heart too. Soon it became clear that each boy had a distinct personality and something that made them especially interesting in their own right. Each had cracks in their shiny veneers, some just more well hidden than others.This was my first Stiefvater and I really appreciated how she kept me engaged the entire novel. It was exciting to read. There were a couple developments that took me totally by surprise and that doesn't happen that often. I loved being swept into the mystery.Stiefvater's writing was so compelling that it took me awhile to realize I was halfway through and not much had actually happened in the way of forward plot movement. I got the sneaking feeling the series was conserving it's energy, if you will. 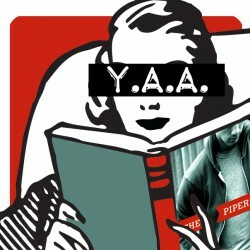 That's when it hit me: Ah, First Book of a Trilogy frustrations and unanswered questions! How I love/hate you! 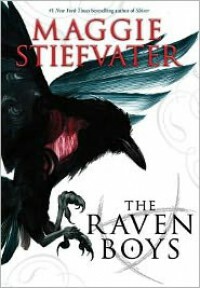 While the plot definitely picked up the pace during the second half of the book (not coincidentally when all the players in the plot were finally interacting), it became clear that many of the tantalizing possibilities introduced in The Raven Boys wouldn't come to fruition until later installments. However, the writing remained compelling straight through and while incomplete, the ending was still more than satisfying. I can't wait to see what comes next!